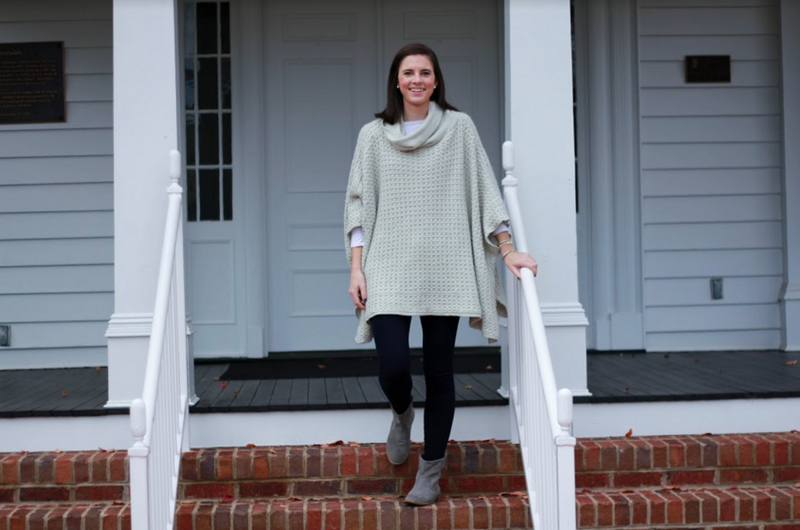 There is nothing better than feeling comfortable when getting dressed in the morning and finding an outfit that encompasses both comfort and style is a serious win. 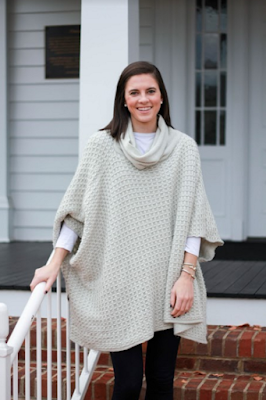 Last year after seeing this poncho on one of my favorite shop's website, Tuckernuck, I knew it would be the perfect piece for cold wintery days where I want to look cute but am not interested in sacrificing comfort. I was ecstatic when I saw that they brought it back again this year and while I styled it a little dressier last year (with heeled booties and a striped shirt) the simplicity of sticking to a grey and white color pallatte didn't seem to take anything away from the look. 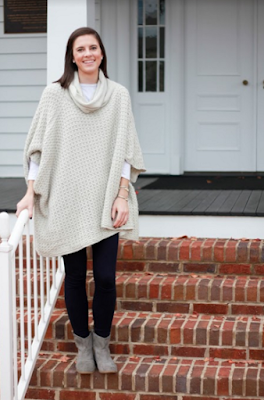 One of my favorite things about this poncho is the fact that it has defined sleeves. 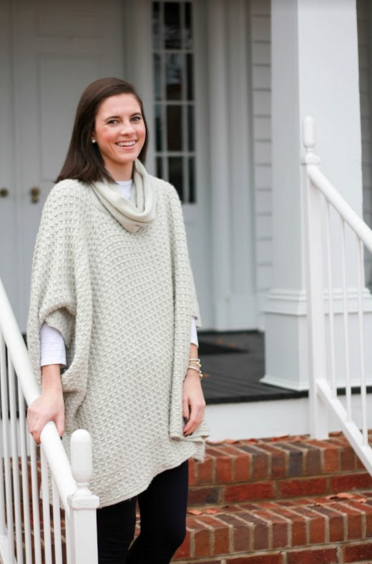 You wouldn't really think about the necessity of sleeves on a piece like this until you try to put a backpack on, let's just say it could've been a bulky mess without them! Whether lounging at your house or at the table for a holiday meal this poncho is perfectly suitable and comfortable for both occasion! The texture of this poncho is unique in that is has a little cross detail which makes it more visually appealing. I put on my favorite jewelry and some flat grey booties to complete the look without taking away from any comfort. You can bet that this will be heading with me out of town to celebrate Christmas! I've never thought ponchos looked cute until I saw this! 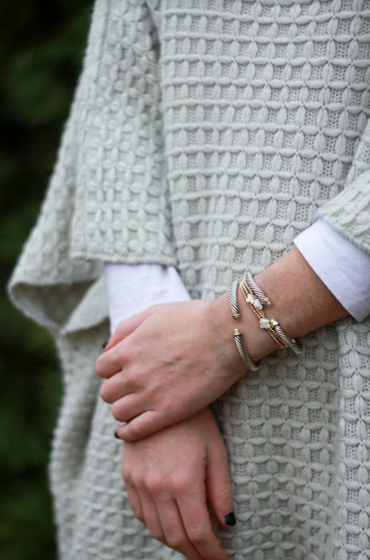 Love the detailing!